Property expert, buyer’s advocate and The Block buyer’s jury judge, Greville Pabst of WBP Group, says it’s important to know your demographic when renovating to ensure you appeal to your most important audience – the buyer. Over the years I’ve given advice and feedback to contestants on The Block to ensure they’re renovating to their demographic and considering attributes that will add value. Many renovators make the mistake of overcapitalising and are spending too much money in areas that won’t necessarily add much value to the home. Even if you’re not planning on selling your home straight away, it pays to plan for the future to make sure you get the most return on your investment the day you do decide to go to auction. Here are some of my top tips when renovating for your target market. Before rushing into any renovations, take a step back and do your research on the area you’re in. Think about the demographic and your surroundings, who lives there and who will most likely be attracted to your area and home, for example is it downsizers or young families? It is also important to think about who your buyers are, whether they’re investors or owner-occupiers. If you’re in a family area, a renovation should be approached with children in mind. Focus on high traffic spaces such as the kitchen and living rooms, the backyard and make sure these areas are well presented and that there is a nice flow throughout the house. Certain attributes are anticipated in certain areas, for example a pool in Brighton, VIC is expected and people are willing to pay for that, but further out in the suburbs, people don’t expect a pool and it may not add any value to your home. If you’re in an area with lots of young professionals, a separate study may add value to the property. A dedicated home office trumps an extra living area any day in today’s market, as many professionals tend to work from home frequently. A functional floorplan is one of the most important factors that impact whether the property is going to be sold or which tenant wants to rent it. In many older houses, bathrooms and toilets tend to be out the back, but that’s not functional anymore. Common problems with layout include not placing the living and kitchen areas – where people spend the most time – on the northern side of the building that gets the sun, having the kitchen tucked away in a separate room, or having a bathroom that comes off the kitchen, not the hallway. Overall, it’s all about creating a good flow with an abundance of natural light throughout the home to create a nice welcoming feeling. As mentioned before, consider the suburb you’re in to ensure you don’t overcapitalise based on the values of other properties in your area. If possible, try to retain original features of the home, for example cornices and original stained-glass windows. These updates combined with modern touches are greatly appreciated by many buyers. I always say that kitchens, bathrooms and outdoor living areas sell houses, so keep that in mind before starting your renovation, but remember that many updates can be made to these spaces without blowing your budget. Sometimes a fresh coat of white paint or new tapware and fixtures makes all the difference. 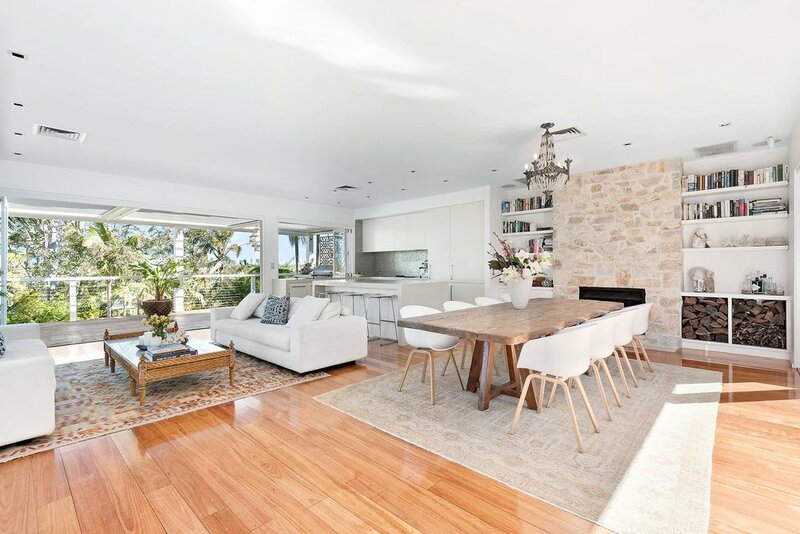 Other cost friendly updates include polishing timber floors, updating light fittings, replacing door and drawer handles, and when it comes to the exterior, landscaping and painting the outside of your home can add kerb appeal and value. It’s important to have the front of the home well presented as we all know that first impressions do matter in real estate. For more home improvement tips take a look at Renovate or detonate? That is the question, Eight ways to add value to a rental property, Five ways to save money when renovating and Six lessons from a rookie kitchen renovator. Greville Pabst is a leading expert in the Australian property market with over 30 years’ experience in the industry. He is the CEO and executive chairman of WBP Group, one of Australia's largest buyer's advocacy, property advisory and valuation firms. He is a regular mentor, advocate and buyer's jury judge on The Block, commentator on Sky News and ABC, Herald Sun columnist and is regularly delivering impartial property advice to Australians in the media. He is determined to help the everyday Australian make better property decisions. PropertyDuo by WBP Group gives home buyers and sellers the advice they need to make informed decisions. Don’t risk a guess, chat to one of their trusted associates to the get the information you need before starting your property journey. I agree 100% with your observations !